The Lancashire Pergola Oak frame is made from 100% European green Oak and can be erected on any hard or soft standing. This Oak garden structure has an overall floor area of 31.51 m2 (339.29 sq ft) The Cheshire pergola is very popular for clients who are looking for a simple yet striking oak structure to add to their garden, perhaps to cover their garden dining set, barbecue or hot tub. 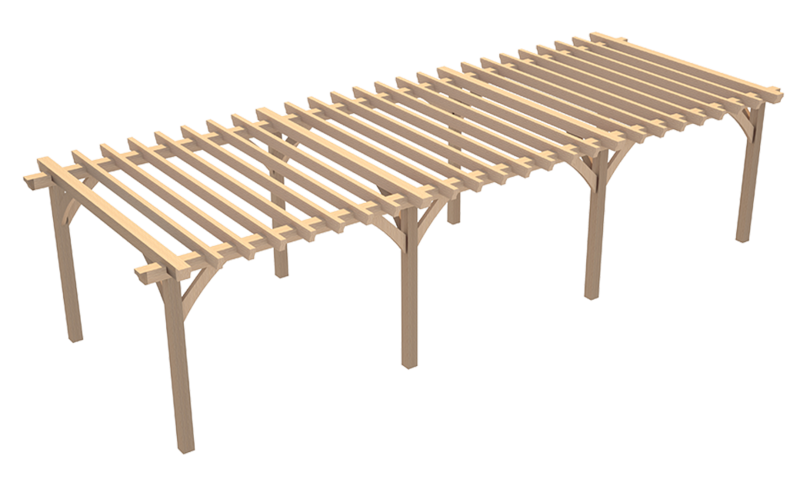 Our Pergola range are simple to construct and a great addition to any garden space.